Better Materials. Better Process. Better Parts. It stands to reason that if you use better materials, you’ll end up with better parts. Graphicast takes that concept one step further. Along with using a better casting material, we also employ our proprietary process—LTA™ (low turbulence automatic-fill) permanent mold technology. This yields castings of increased density, lower porosity, better surface finish, and more consistent dimensions. Contact us today to see if our process will work for your parts, application, or timeline. With excellent castability, ZA-12 has a distinctive lustrous appearance, and its low casting temperature promotes long mold life. 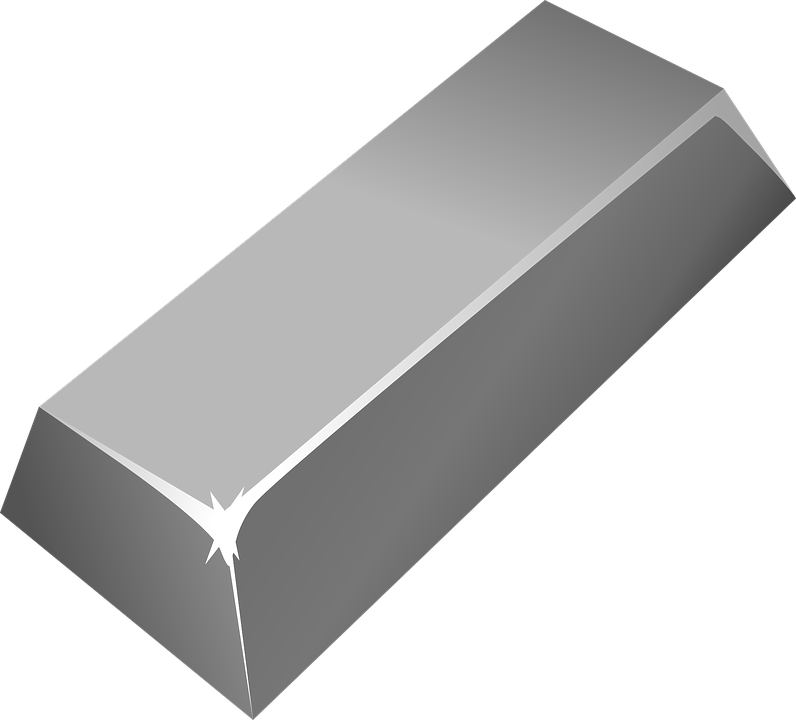 Zinc metal and alloys are also readily available at relatively stable prices, ensuring the long-term viability of products designed with Graphicast components. ZA-12 has approximately the same density as cast iron, but is stronger. 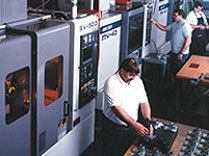 It machines three times faster with greatly improved tool life. 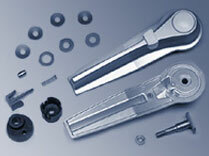 It also offers much better corrosion resistance. ZA-12 is harder, stronger, and has better wearing qualities than aluminum, yet it does not require heat treating. 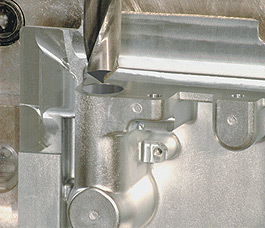 ZA-12 machines more easily than aluminum, is more dimensionally stable, and will not warp. ZA-12 machines as easily as either brass or bronze, yet has superior strength, hardness, and wearing qualities. It can also be coated for corrosive applications/environments. Download our ZA alloys safety sheet. Through a national network of experienced sales engineers, Graphicast will review your requirements and provide an expert evaluation of the advantages of its ZA-12 zinc alloy metal casting process for your specific part. Using Pro/Engineer and SolidWorks® parametric and associative 3D solid modeling CAD software, Graphicast’s experienced design engineers can work with you to design and refine your castings. Through early involvement in the design process and concurrent engineering, Graphicast can help you improve the quality of your castings while dramatically shortening the design process and the time required to get your products to market. Using advanced 3D printing or CNC technologies, Graphicast can produce a prototype model of your part with indications of draft and radii for the metal casting process. 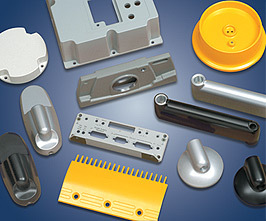 Important design-for-manufacturing tools, these models are invaluable in identifying and correcting part problems before molds are produced. 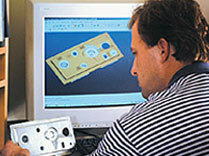 Design changes that result from review of the prototype or CAD model are made quickly and easily on the CAD system. Another prototype or CAD model will be produced to verify that all changes have been made and the part is ready for casting. 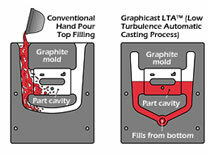 Graphicast has complete in-house capabilities to produce exceptional quality graphite permanent mold tooling. Pro/Manufacturing™ CAM software automatically generates machine tool “G” code for the mold, allowing part revisions or modifications to be made quickly and easily. 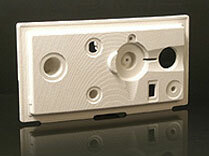 A one-time charge covers the cost of producing the original mold as well as ongoing mold maintenance. 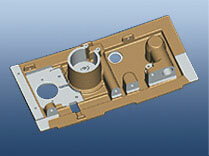 If the design of the part changes, Graphicast can quickly and easily modify the mold at minimal cost. Using metal casting machines designed and built around its proprietary LTA (low turbulence automatic-fill) graphite permanent mold technology, Graphicast produces ZA-12 zinc alloy castings of exceptional quality and consistency. This rate- and temperature-controlled bottom-filling LTA process yields castings of increased density, lower porosity, better surface finish, and more consistent dimensions. With complete high-speed CNC machining capabilities, in-house, Graphicast can perform any required secondary operations quickly and economically. Graphicast also has the capability in-house to perform light assembly involving bearings, bushings, dowel pins, springs, etc. 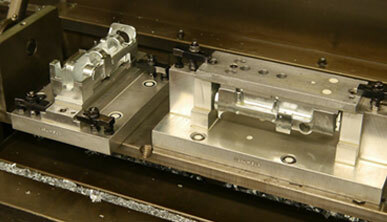 Typically, graphite mold castings can be produced in volume with tolerances of ± .005″ per inch or less. Some dimensions will be affected by draft requirements, which are nominally 2° for any surface perpendicular to the parting plane. The finish of Graphicast parts is typically better than 125 microinches—as good or better than that of either investment cast or die cast parts. 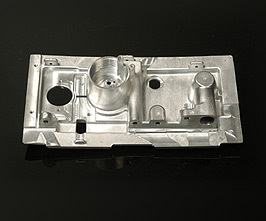 Parts from the mold have a bright metallic finish which, in most applications, requires no additional preparation or coating. With handling or age, this finish takes on a matte pewter-like appearance. 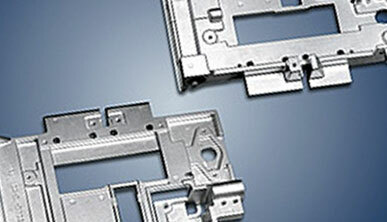 With an attractive, naturally lustrous finish, Graphicast parts are usable straight from the mold. 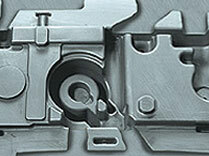 However, if desired, parts can be finished using the same processes and materials as those recommended for zinc die castings. Coating options include any commercial paint or powder coating system. A zinc phosphate treatment or wash-primer is used under wet paints. For corrosion resistance, zinc chromate can be used, with or without a decorative topcoat. Acrylic or epoxy electrocoating can be used to simulate black anodized aluminum. Painting and finishing are performed by certified subcontractors. Graphicast assumes single-source responsibility for all parts it produces.